With the increase in musculoskeletal problems due to the rigorous lifestyle of humans, the demand for Physiotherapist has also increased. It helps improve movement dysfunction, and functions of the human body. Hence, one must have thorough knowledge of the human anatomy and the intricacies of bones, muscles and nerves. Excellent interpersonal skills which may include being empathetic, having patience and being able to understand people, are also required as one also needs to deal with the family members and relatives of the sick. Master of Physiotherapy is a Postgraduate Academic Degree after bachelor’s awarded for a course or program in the field of Physical Therapy, more popularly known as Physiotherapy. It is also known as M.P.T. which is an abbreviated form of the Master of Physiotherapy degree. Some Institutes also abbreviate it as 'M.Th.' which also stands for Master of Physiotherapy. The duration of M.P.T. is 2 years. Physical Therapy programs provide practical learning experience which enables knowledge gain, skill and the required behavior expected from an expert Physiotherapist. The course curriculum is based on case studies and clinical practice so as to encourage students in critical thinking. Eligibility for Master of Physiotherapy (MPT) course is 50 % marks in BPT with completion of 6 months internship. Apart from this one also needs to clear the entrance test to get admission. Those candidates who have interest in research work and want to excel in the field with new innovations are very much eligible for this course. Admission into top colleges for pursuing Master of Physiotherapy requires some criteria to be fulfilled. These include, a student must secure 50% marks in BPT (Bachelor of Physiotherapy) and should complete 6 months of internship to get admission into the MPT course in any college. The course is generally of two years, and the students are admitted after paying the required sum of fees in the college. The Master of Physiotherapy course is of 2 years, and in order to pursue it, a student must have completed his/her Bachelor of Physiotherapy course with 50% marks. Within the course of 2 years, a student pursuing MPT gets his/her degree. There are many specializations within this field. Some of the Master of Physiotherapy Specializations includes- Orthopedics, Neurology, Cardio respiratory, Sports, Pediatric Neurology, Hand Rehabilitation, Obstetrics and Gynecology, Community Physiotherapy. Here we will look at top colleges to pursue Master of Physiotherapy for countries like USA, Australia, New Zealand ad UK and also look into latest admission alerts into these colleges. Hopeful candidates who wish to begin a vocation in Physiotherapy abroad have loads of alternatives. Countries like USA, Australia, and Canada are in levels of popularity for competitors with graduation in Physiotherapy. Loads of individuals favor Physiotherapy as it treats sickness without utilizing medications and medical procedure and this is the principle motivation behind why Physiotherapy has increased wide acknowledgment and significance which prompt the expansion in openings for work for Physiotherapist. University of Pittsburgh- MS in physical therapy as well as doctoral programs in physical therapy and bioengineering are provided to students. The University of South California- Department of physical therapy and bio mineralogy- neurological Physical Therapy, Orthopedic Physical Therapy, Pediatric Physical Therapy are some of its renowned courses. The Washington University, St. Louis- Provides Physical Therapy Program that includes both masters and doctoral programs. The salary of a physiotherapist ranges from $40,000-$100,000 per annum and that in the gulf ranges from $30,000-$72,000 per annum. On an average, a fresher can earn up to 56,200 USD per annum, and with a few years of experience up to 113,340 USD per annum. There is always an opportunity in USA to advance your career. A competent, skillful, and knowledgeable physiotherapist can even rise up to managerial or supervisory positions. Some physiotherapists in the U.S. opt for teaching positions, and even go for Ph.D. This profession is much sought-after in the world. Same is the case with Canada. To become a physiotherapist formal training is required. The physiotherapists in Canada require a master’s degree in physiotherapy from an accredited institution within Canada. Clearance of a physiotherapy national exam is also necessary. A master’s degree program has replaced the undergraduate degree program as the minimum entry-level because the Canadian population is more sophisticated in their physiotherapy services demands. Graduates from accredited physiotherapy programs with master’s degree must have undergone numerous courses. The entry-level requirements are usually different for those who study outside Canada and they must undertake PCE (Physiotherapy Competency Exam) certification, a product of Canadian Alliance of Physiotherapy Regulators which is a body for evaluating the qualifications of international physiotherapy graduates. Physiotherapy is the fifth most popular profession in the country and is therefore regulated with 50% of the workforce having private clinics. To apply to many universities, one may want to consider fulfill the desired prerequisites for different schools like- Recognized bachelor's degree in any field (120 credits), Minimum of 70 volunteer hours or work experience with people with disabilities, Some of the following courses are also common prerequisites for physical therapy programs: Psychology; Statistics; Human Anatomy and Morphology; Mammalian Physiology; Literary Study; Effective Writing; “social science” or “humanities” course. E.g.- at Queen’s some of the desired prerequisites include- Philosophy, Music, History, Economics, and Religion. Therefore, one must always check the prerequisites of different schools before taking up the course. Canadian university graduates with academic backgrounds in Kinesiology, Health Sciences and Human Kinetics run after Australian university, graduate-entry physiotherapy degrees as Australia is the world leader in the physiotherapy field. Five of Australian universities have a graduate-entry physiotherapy programs usually labeled as Master of Physiotherapy Studies or Doctor of Physiotherapy degrees. Similar to USA physiotherapy is physical therapy. There are few (Doctor of Physiotherapy/Master of Physiotherapy) programs available for the students and therefore the entry is competitive. If we are talking about Education then UK can’t be left behind. The UK student life is outstanding with beautiful campuses and hustling vibes. With all the facilities provided one can engage in ground-breaking research and experience top quality education. The Master of Physiotherapy (MPhty) program providing specialties in the following areas (Neurorehabilitation, Occupational Health Physiotherapy or Sports Physiotherapy) aims to advance clinical reasoning and patient management skills providing one of the prerequisites necessary to achieve specialization. The one-semester research component comprises of- the design and implementation of a small research project, a case series, a data-based clinical review, a systematic or critical review under the supervision of a member of staff etc. Alternatively, two papers can be undertaken from the approved schedule and a thesis so that the student can obtain a research master's (MPhty). The School of Physiotherapy has a strong postgraduate research programme currently supporting numerous masters’ research students working on topics ranging from neurological disorders to anatomical studies. Registered physiotherapists are eligible for this course. International students must obtain Special Purpose Scope of Practice from the Physiotherapy Board of New Zealand before arriving in New Zealand. For the endorsed Master's, distance based students must be practicing physiotherapy whilst undertaking the clinical paper in Year 2 of the programme and should note that some papers involve attending residential blocks in Dunedin and phoning in on audio conferences. The students for the On-campus programs would be based at the School of Physiotherapy, Dunedin. Generally in Australia which is home to best colleges this course has an early closing date to submit applications by the 31st May of every year for domestic applicants and 31st March every year for international applicants. Domestic applicants must apply through the Universities Admissions Centre (UAC). For top colleges in UK the course starts generally in the month of September which means the admission will start generally in the month of March and April. The Candidates are required to submit their applications before the ending date of the admission. 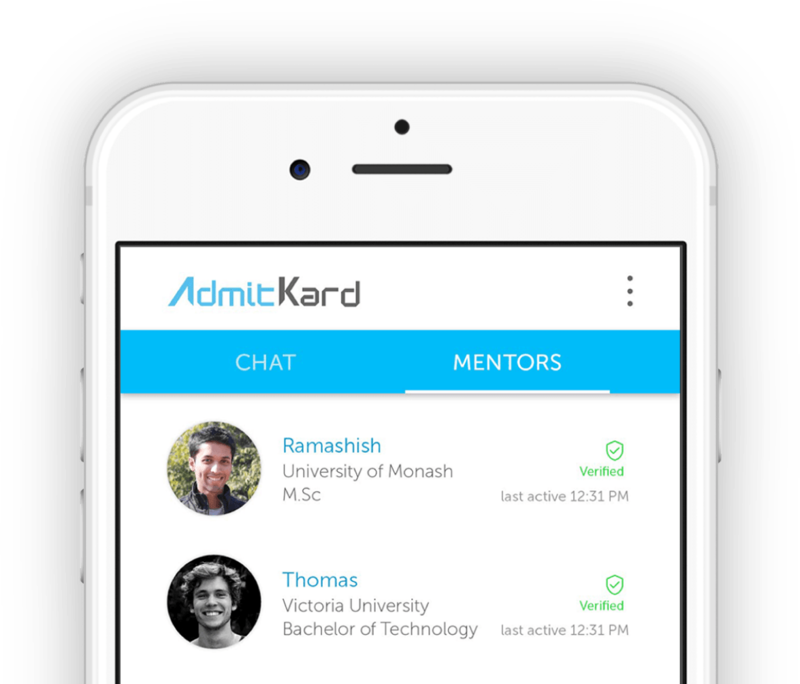 Students can get information about all the admission related important dates by consulting a mentor or visiting the site of AdmitKard. The field of Physiotherapy is a major field of employment in Australia, Canada, US, UK and New Zealand and as such it increases the scope of practicing Physiotherapy abroad. Employment Areas generally includes Defence Medical Establishments, Educational Institutions, Fitness Centers, Health Institutions, Hospitals, Orthopedic Departments, Physiotherapy Equipment Manufacturers, Private Clinics, Rehabilitation Centers for The Handicapped, Sports Training Facilities, Schools for the Mentally Retarded and Physically Disabled Children with jobs like- Chief Physiotherapist, Osteopath, Lecturer, Research Assistant, Researcher, Sports Physio Rehabilitator, Self Employed Private Physiotherapist and Therapy Manager etc.